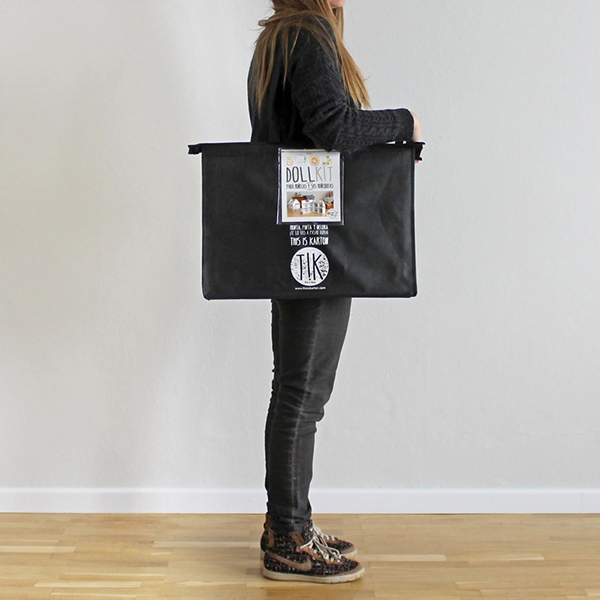 This is Karton - the Doll Kit for dollhouses on the move! 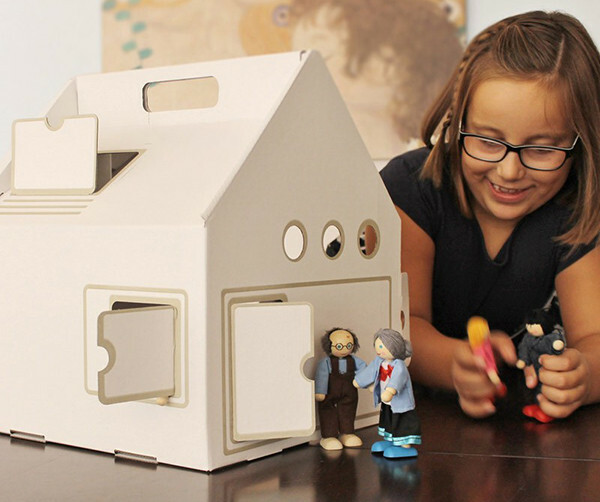 This is Karton – the Doll Kit for dollhouses on the move! 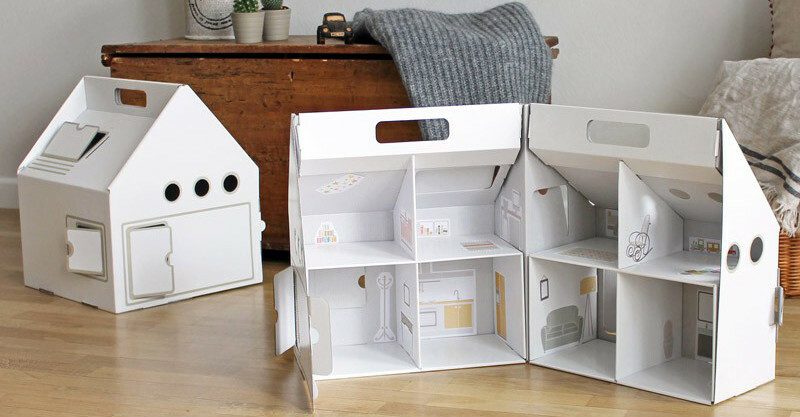 Giving a whole new meaning to transportable housing, we give you oodles of cardboard crafty fun with the Doll Kit, a kit home with a difference. 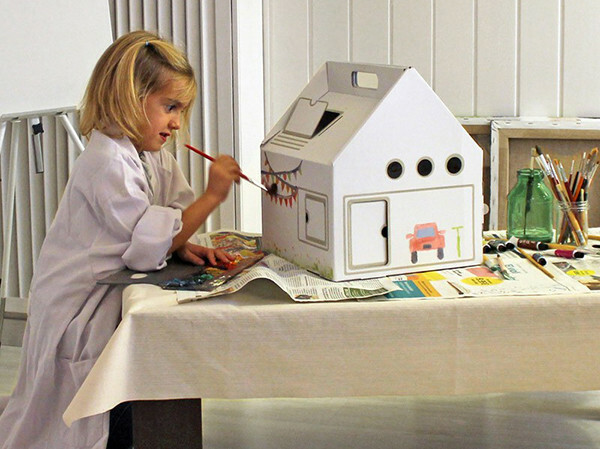 From cardboard extraordinaire This Is Karton, the Doll Kit nurtures both the environment and little (and big) imaginations. The eco-friendly residence standing at 35cmx30cm, boasts eight large rooms, quite fitting for growing imaginary doll families. Children are free flex their inner stylist and interior design muscle by getting busy affixing the 32 included furniture stickers and, of course, such a perfect blank canvas begs for a decorative paint job on the exterior! This abode is a dream to assemble and can be stored flat and rebuilt over and over. A handy carry bag acts as insurance in protecting this prime cardboard real estate and of course since location is everything, it makes it super easy to relocate no matter your destination! The Doll Kit is priced €29.90 from This Is Karton, with delivery from Spain to Australia available upon request.